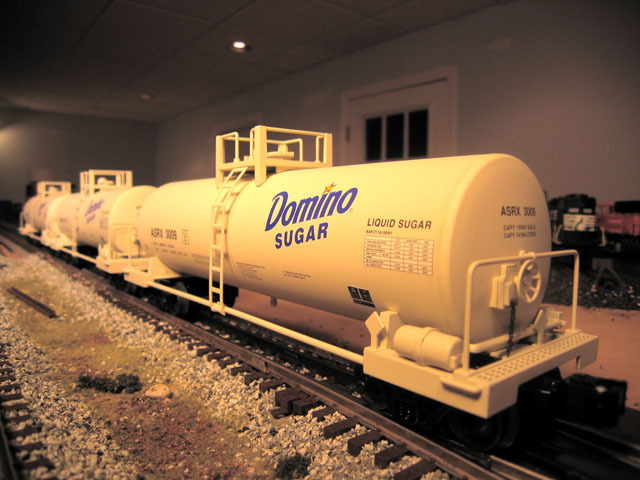 Very nice modern era scale tankers from Lionel. 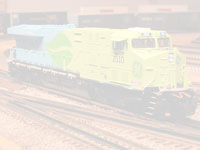 I picked this set and the one below for a discounted price from a Lionel dealer whose website I designed and manage. From the rotating bearing caps to the many die-cast parts, these tankers are sweet. The 3 cars in this set are sequentially numbered, which is an added bonus. Made in 2007, added to my set in February of 2008.